One of the most important things for any website, whether it is Joomla-based or not, is keeping its software up-to-date. Just like with computer operating systems, there are frequent updates to Joomla and its extensions to address bugs and security issues as well as to introduce new features. By ensuring that your site has the latest versions of each of these then your site will not only be more secure but also have access to all the latest extensions and functionality. Although most sites should continue to function even if they aren't up-to-date, there is a far greater risk of being hacked as well as an increased likelihood of errors and other bugs negatively impacting the site. What's included in the migration process? We migrate the core Joomla system to the required version - this includes users, articles, modules, menus and more. 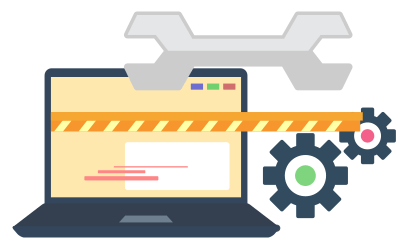 We will either migrate or replace each extension installed on your site with the latest version or a suitable equivalent. We will migrate your template to its newest version (if there is one) or, alternatively, recreate it using a responsive template framework. Once everything has been migrated we then often need to go back through your site and check that everything is working as it should. The cost will vary depending on exactly what extensions require migration as well as what template you have in use however we are happy to provide a no-obligation estimate upon request. Is this only available to Arcas clients? We are happy to consider any Joomla-based website for migration, all we will need is the information in relation to what extensions need migrating as well as what template your site uses. So if you are interested in getting a migration done then let us know and we'll do a quick assessment of your site completely free of charge to confirm the costs involved.